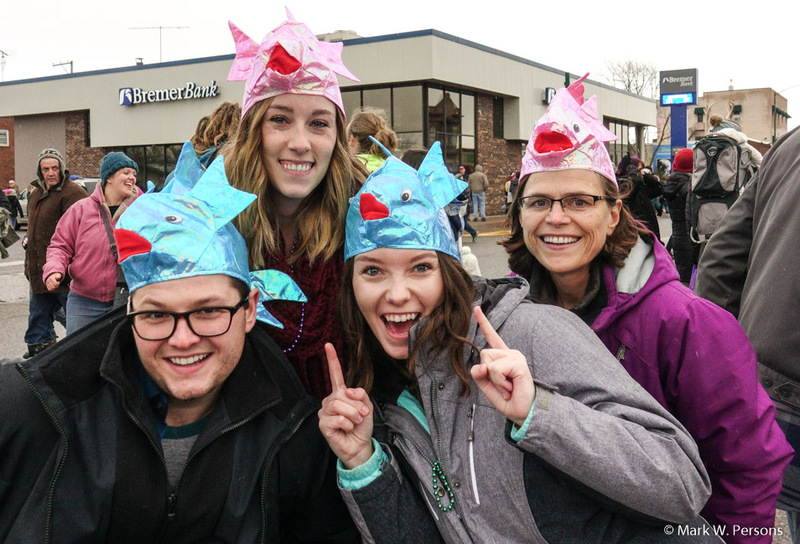 Friday, November 24, 2017: The Aitkin, Minnesota, annual Fish House Parade. 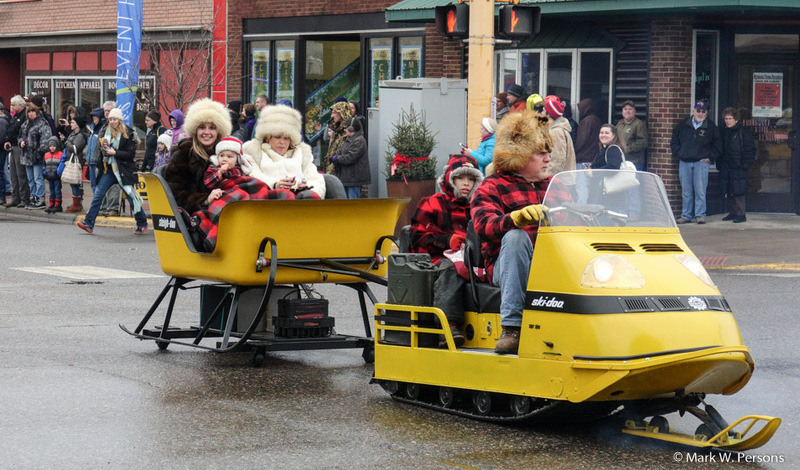 Nice Ski-Doo with a sleigh. They were dressed in fur to stay warm. How would a whale and shark get to Minnesota? 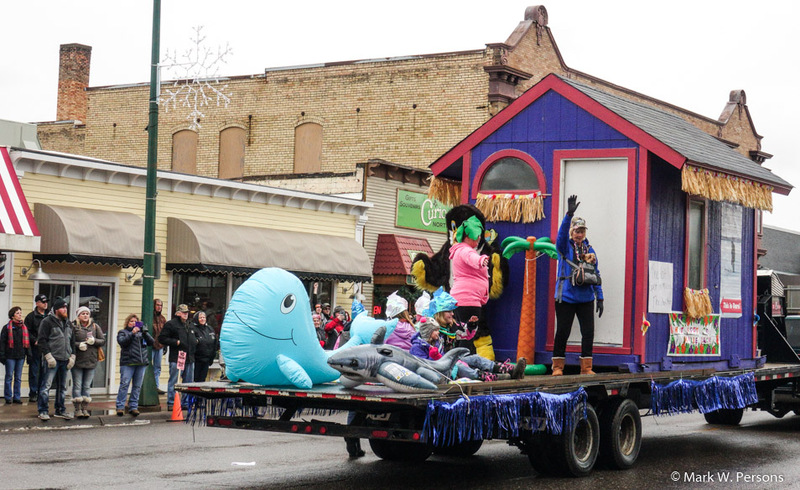 Well, the float has a palm tree too. Ladies like riding in interesting show machines....especially with handsome men. 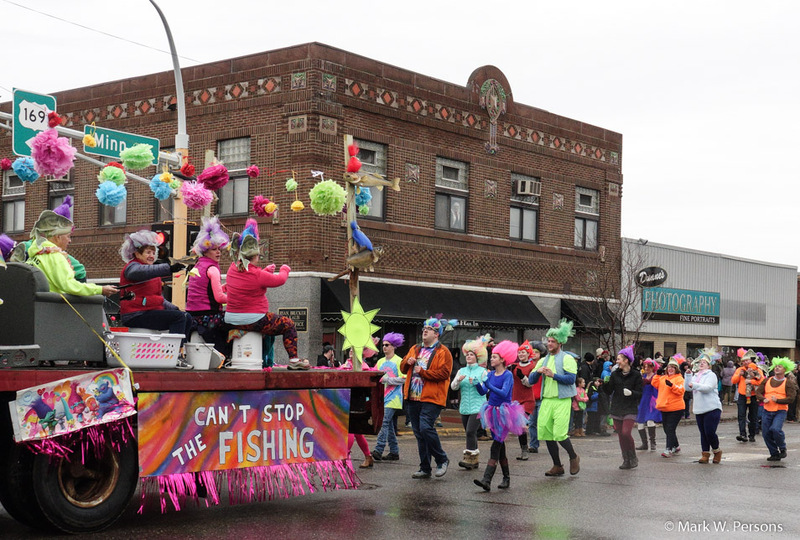 The Aitkin business community is always fishing to get shoppers to town. 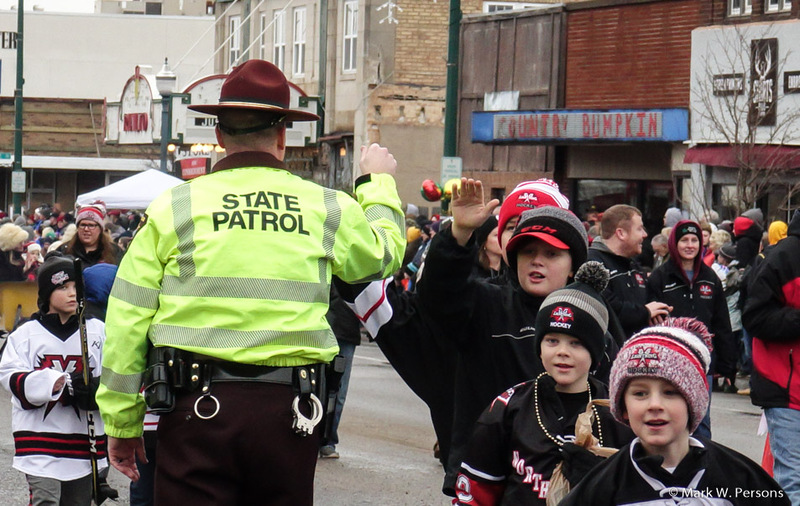 This law enforcement officer gave high-fives to kids. 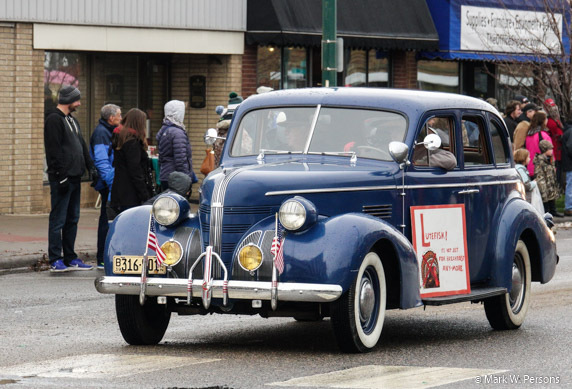 Hmmm, this 1930s Pontiac has a sign on the side. 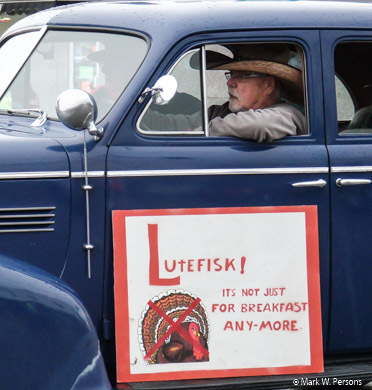 Oh, it says eat lutefisk instead of turkey for Thanksgiving! The man behind the wheel looked Norwegian too. 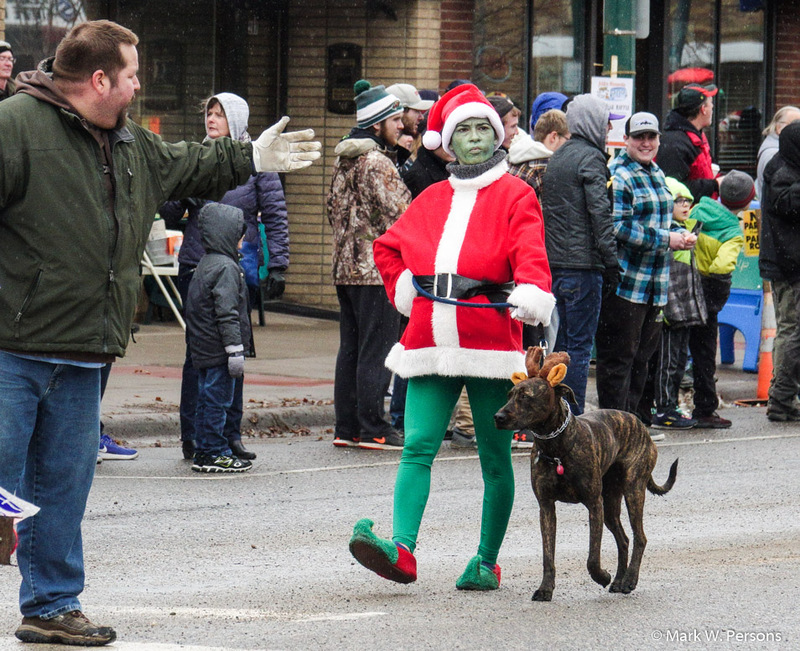 The Grinch brought a dog and strutted up and down the street. This group was big on fishing. 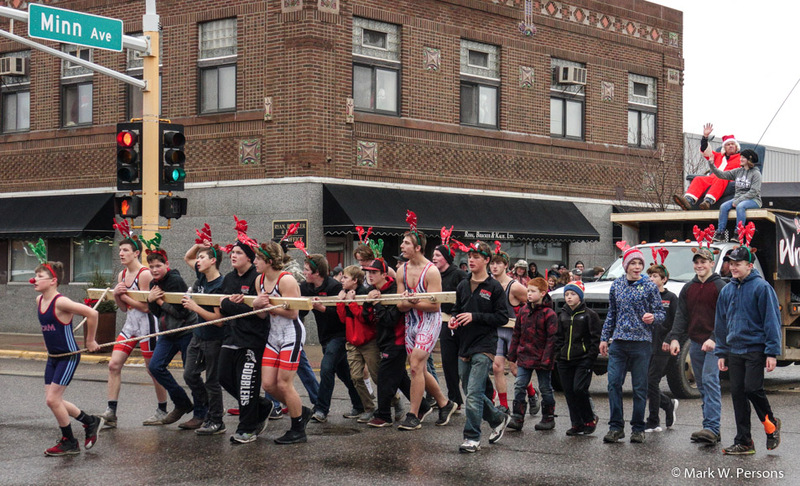 Then someone dressed as Santa came down the street, pulled by the Aitkin Wrestling Team. 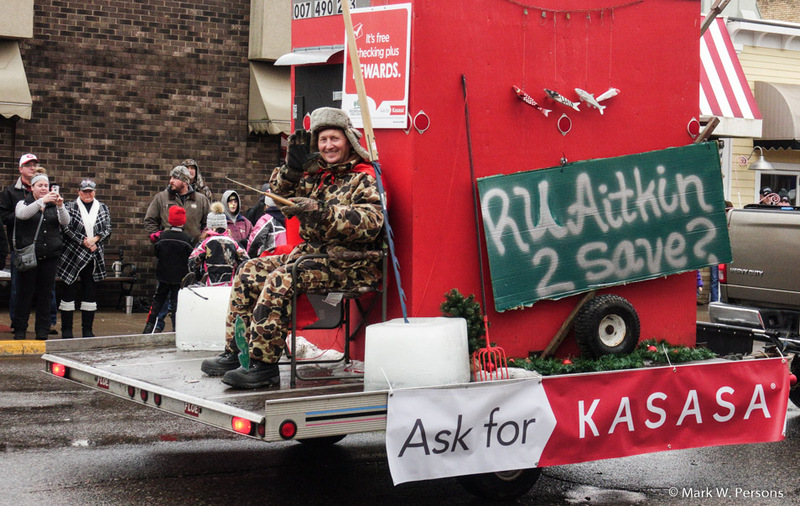 They were led by Rudolph the red nosed reindeer. Mark was skeptical. As it turned out the red costumed person was one of Santa's helpers and could not grow a beard. 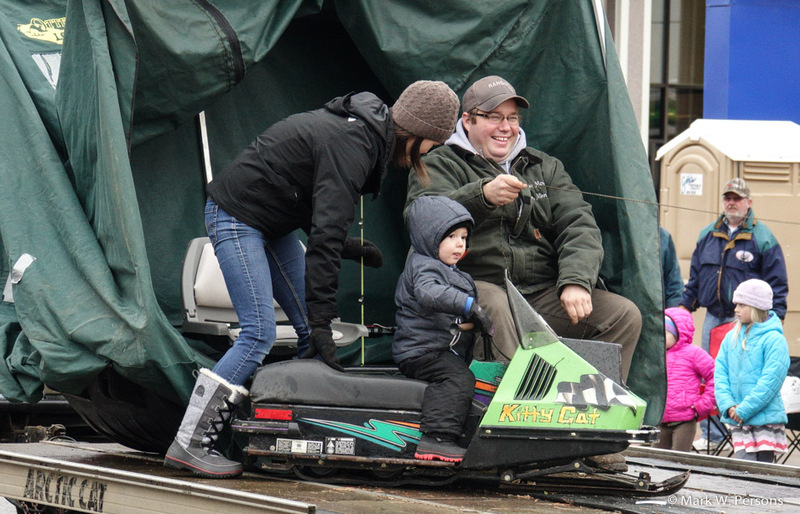 They start kids young on Kitty Kat snowmobiles by Arctic Cat. 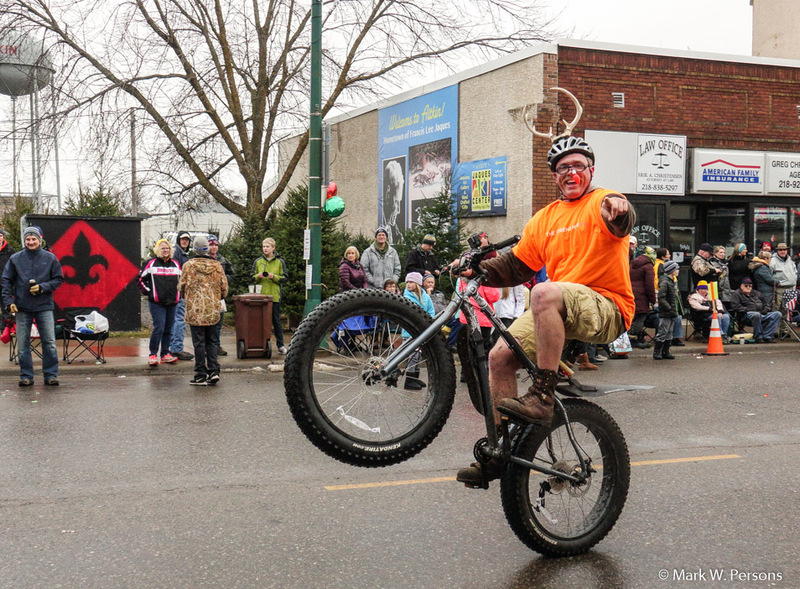 This character was very good on a fat tire bike and didn't fall. 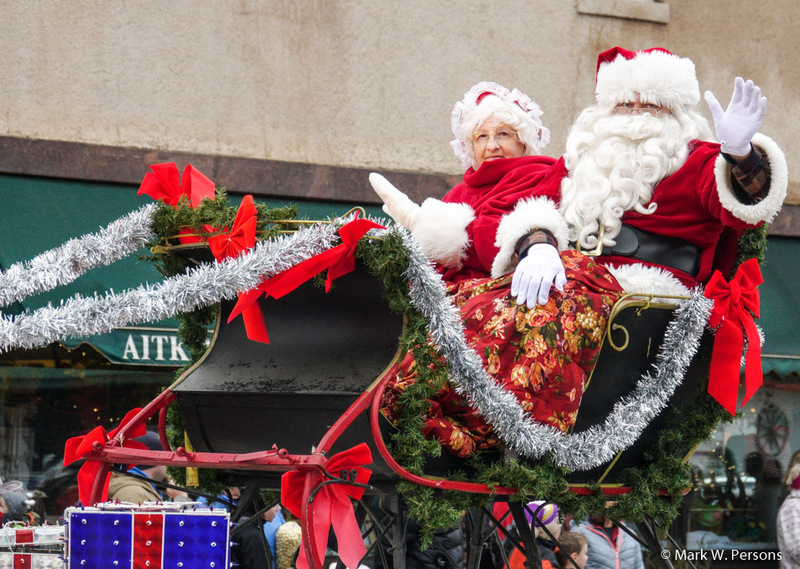 Then the real Mrs. and Mr. Santa Clause showed up to greet the crowd. Mark said, "But Santa, I can explain!" 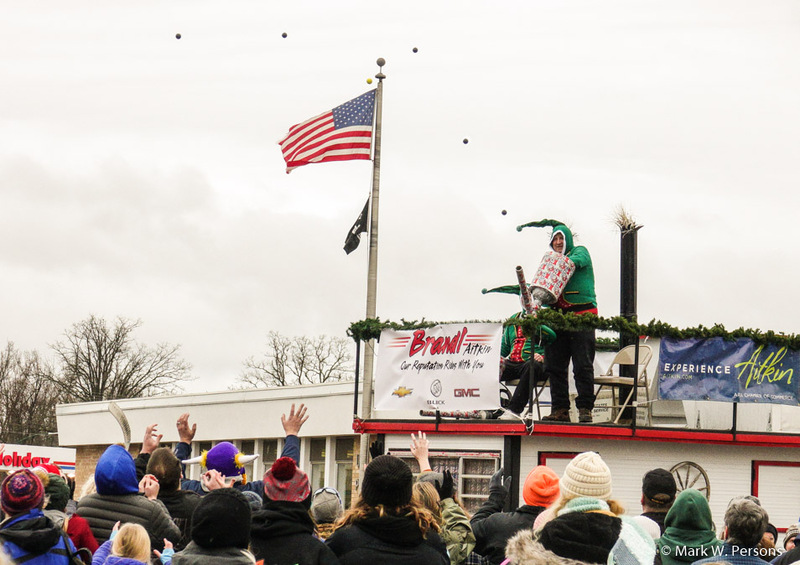 Aitkin stores offered discounts inside balls that were shot from launchers atop a float. Everyone wanted one. It was a happy crowd that day. 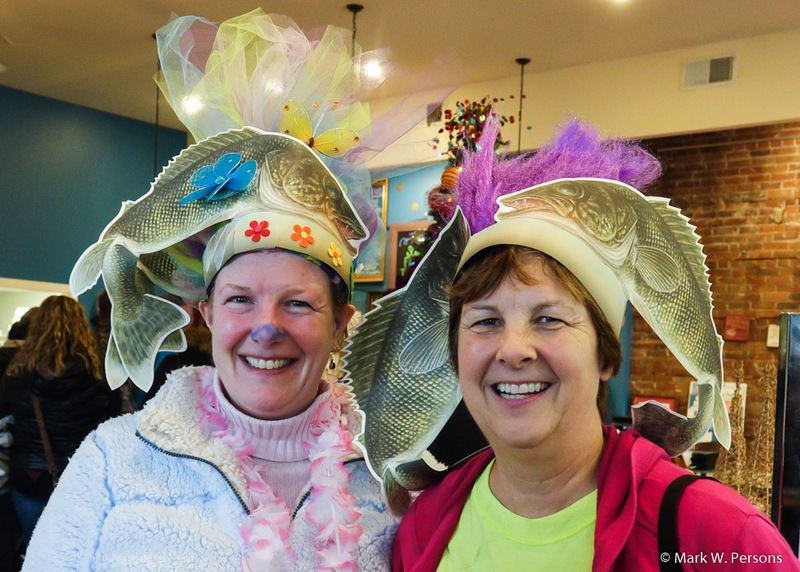 These two "fish ladies" were caught on camera in a nearby store. 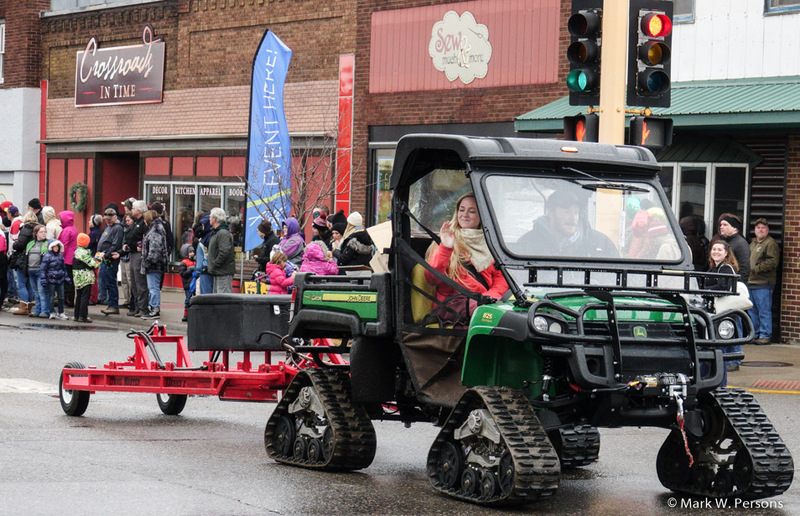 There was a showing of antique snowmobiles, which were admired by many. 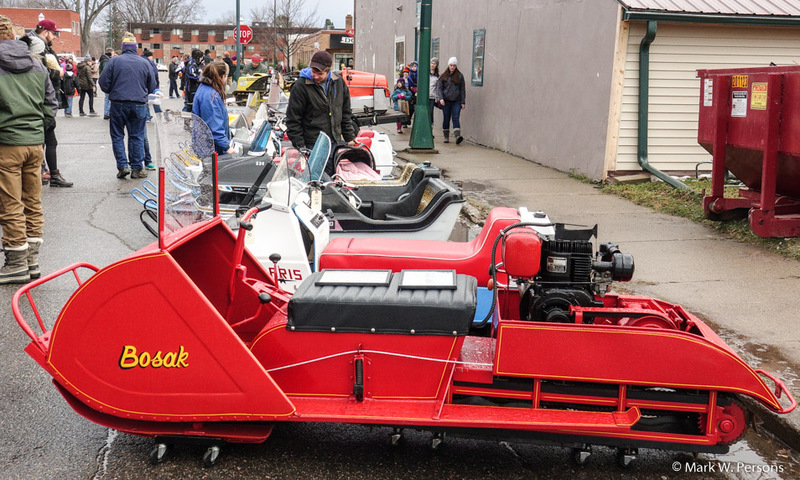 The Bosak Model MC200, Power Toboggan was manufactured in Manitoba, Canada, from 1958 to 1959. It was billed as a machine for trapping, hauling game, and patrolling. Nicely restored. The Bosak originally sold for $99. That is $827 today. 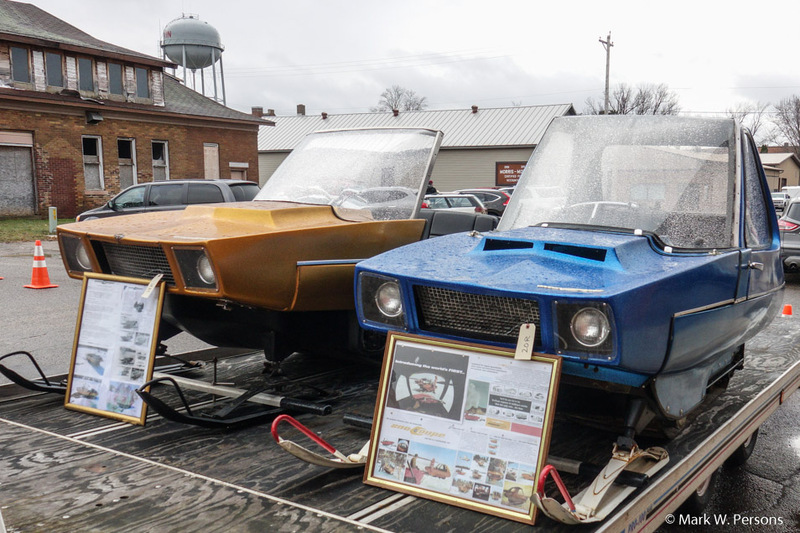 Then there were these two Innovar brand Snow Coupes from the late 1960s. 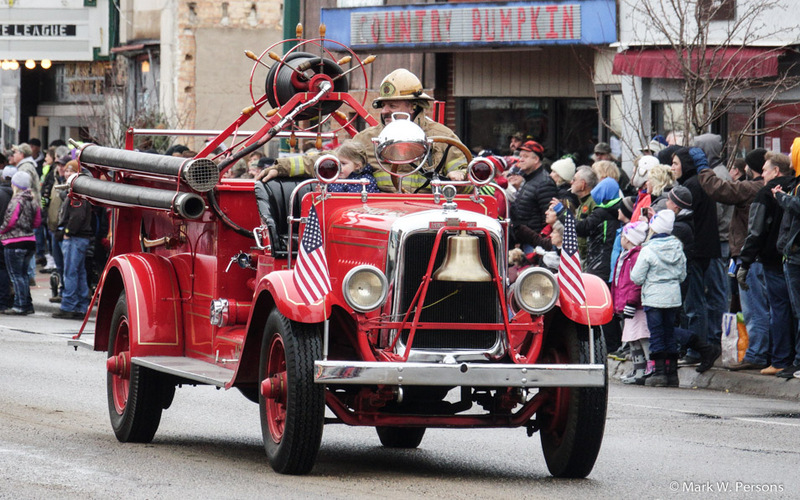 They have 372 CC engines with a Jeep transmission that has two forward speeds and one reverse. The enclosed cockpit was kept warm with a small propane heater. Very innovative for the time. 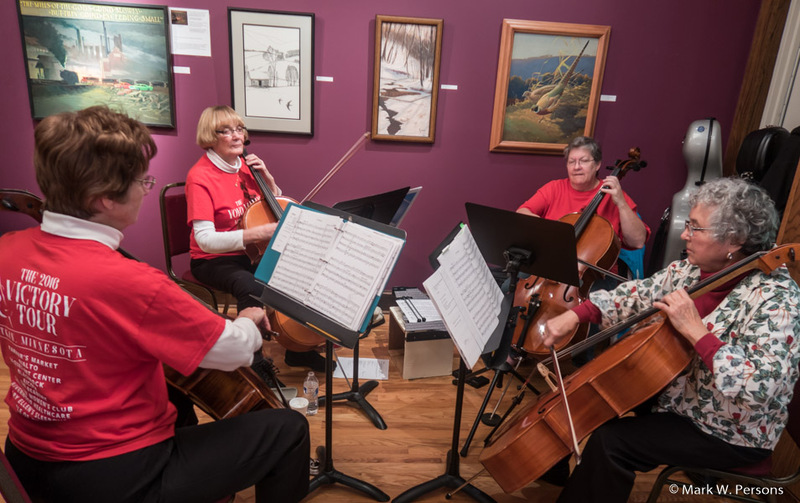 The Jaques Art Center in Aitkin had music that day too.